Gives the US blanket overflight and landing rights for all US aircraft. Gives the US access to airports, naval bases, and borders for operations against al-Qaeda. Provides immediate intelligence sharing and cooperation. 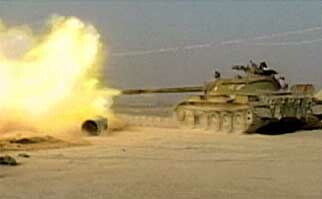 Cuts all shipments of fuel to the Taliban and stops Pakistani fighters from joining them. Publicly condemns the 9/11 attacks. Ends support for the Taliban and breaks diplomatic relations with them. Stops al-Qaeda operations on the Pakistan-Afghanistan border, intercepts arms shipments through Pakistan, and ends all logistical support for al-Qaeda. Immediately after the 9/11 attacks, the Russian government realizes the US will attempt to push into the Central Asian “Stans”—Kazakhstan, Kyrgyzstan, Tajikistan, Turkmenistan, and Uzbekistan—as part of the US effort to defeat the Taliban and al-Qaeda in the region. But these countries had been part of the Soviet Union ten years before, and Russia does not want the US increasing its influence there. On September 13, 2001, Russian intelligence officials hold a meeting with Northern Alliance figures and the other governments that support the Northern Alliance—Iran, India, and Uzbekistan. They promise to increase support to the Northern Alliance in an attempt to outbid the US and keep the US military out of the region. Soon after, Tajikistan announces that it will not allow its airspace to be used by US aircraft. But Uzbekistan is the key country, since it has the most military bases inherited from the Soviet era, the largest population, and also a key strategic location. 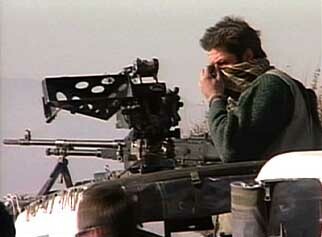 It also has been working with the CIA against al-Qaeda and the Taliban for several years (see 1998 and After). Uzbekistan indicates it is going to allow the US to base some of its military operations there. Realizing that the other countries are likely to follow Uzbekistan’s lead, Russia switches positions and attempts to make a collective offer to the US. On September 17, Russian President Vladimir Putin holds a meeting in Moscow with the leaders from all the “Stans” in an attempt to reach a joint agreement about allowing the US to use former Soviet military bases. A formal deal is reached between the US and Russia on September 22 after Putin speaks to President Bush on the telephone. The US agrees that its bases in the region will only be temporary. Bush will stop criticizing Russia for its war in Chechnya. The US will consult with Russia before taking further steps in Central Asia. The US will help accelerate Russian integration into Western economic institutions. Russian commanders who fought in Afghanistan in the 1980s give extensive briefings to US Army generals. Tenet advocates substantially stepping up “direct support of the Northern Alliance,” the main Afghan opposition group, as part of a strategy to create “a northern front, closing the safe haven” of Afghanistan. His idea is that “Afghan opposition forces, aided by the United States, would move first against the northern city of Mazar-i-Sharif, try to break the Taliban’s grip on that city and open up the border with Uzbekistan. From there the campaign could move to other cities in the north.” Tenet also explains that the CIA had begun working with a number of tribal leaders in the south of Afghanistan the previous year, and these could be enticed to joint a US-led campaign. The CIA and FBI would work together to track down bin Laden supporters in the US. The president reportedly is much pleased with Tenet’s proposals, “virtually shouting ‘Great job!’” [Woodward, 2002, pp. 74-78; Washington Post, 1/31/2002; Kessler, 2003, pp. 234] He will grant all Tenet’s requests by the following Monday (see September 17, 2001). Tenet had presented a cruder version of the CIA plan at the White House two days earlier (see September 13, 2001). Sharifuddin Pirzada. [Source: Aamir Qureshi / AFP / Getty Images]On September 15, ISI Director Lt. Gen. Mahmood Ahmed returns to Pakistan from the US, and Pakistani President Pervez Musharraf holds a meeting with Mahmood and about a dozen other senior officers to discuss how Pakistan should respond to the 9/11 attacks. Musharraf will later recall that the group “made a dispassionate, military-style analysis of our options,” aware that on his decision hung “the fate of millions of people and the future of Pakistan.” For six hours, Mahmood, Lt. Gen. Muzaffar Usmani, Lt. Gen. Jamshaid Gulzar Kiani, and Lt. Gen. Mohammed Aziz Khan argue that Pakistan should not help the US at all in its imminent war against the Taliban and al-Qaeda. Mahmood states, “Let the US do its dirty work. Its enemies are our friends.” The Guardian will later call this “a stunning display of disloyalty.” However, Sharifuddin Pirzada, Musharraf’s legal counselor, and a high-ranking Pakistani army officer will claim in a 2007 book that Musharraf in fact did not disagree. He tells his advisers, “Pakistan has been deluged by terrorism for decades. We have learned to live with it. The Americans, too, should get used to the taste of blood.” But Musharraf also sees a strategic opportunity to manipulate the situation for Pakistan’s benefit. Pirzada will later recall, “Musharraf saw that for Pakistan it was 1979 all over again.” This is reference to the start of the Soviet-Afghan war, that led to billions of dollars in aid for Pakistan. “‘We should offer up help,’ Musharraf said, ‘and, mark my words, we will receive a clean bill of health.’” [Guardian, 5/25/2002; Levy and Scott-Clark, 2007, pp. 313-314] Musharraf eventually silences the dissenting generals by suggesting that if Pakistan does not agree to the US demands, Pakistan’s long-time enemy India will gladly take the place of Pakistan in assisting the US. That evening, Musharraf speaks to Wendy Chamberlin, the US ambassador to Pakistan, and tells her that Pakistan has agreed to all of the US demands. However, he strongly hints that Pakistan needs immediate economic relief and an end to US economic sanctions in return. [Rashid, 2008, pp. 30-31] Musharraf has already offered the US unconditional help in its fight against al-Qaeda and the Taliban (see September 13-15, 2001 and (Between 7:00 and 11:00 p.m.) September 11, 2001). But just four days after this meeting, Musharraf gives a speech on Pakistani television implying that Pakistan’s alliance with the US is only a temporary and opportunistic necessity. He says, “I have done everything for Afghanistan and the Taliban when the whole world was against them. We are trying our best to come out of this critical situation without any damage to them” (see September 19, 2001). Turn bin Laden over to the US for prosecution. Stand aside and let the US find bin Laden on their own. 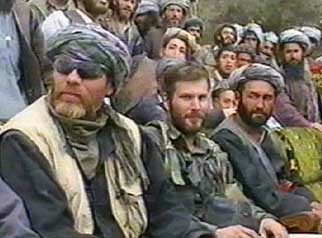 Osmani and his team relays the offers back to top Taliban leader Mullah Omar, but Omar rejects them. On October 2, Grenier has a second meeting with Osmani in a Baluchistan villa. He makes the new proposal that Osmani should overthrow Omar and then use his new power to get rid of bin Laden. This too is rejected. There are no contemporary media accounts of these meetings, but Tenet will describe them in his 2007 book. [Tenet, 2007, pp. 182-183] Curiously, Osmani will be captured by US forces in 2002 and then let go (see Late July 2002). He will be killed in late 2006 (see December 19, 2006). 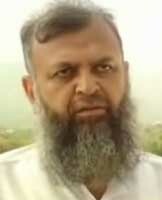 Pakistani ISI Director Lt. Gen. Mahmood Ahmed is periodically meeting and communicating with top Taliban leader Mullah Omar during this time. He is advising him to resist the US and not to hand over bin Laden (see September 17-18 and 28, 2001). According to journalist Kathy Gannon, he is also giving Omar and other Taliban leaders advice on how to resist the US military. Omar has almost no education and very little understanding of the Western world. Mahmood, by contrast, has just come from meetings with top officials in the US (see September 13-15, 2001). Gannon will later write that each time Mahmood visited Omar, he gave him “information about the likely next move by the United States. By then, [he] knew there weren’t going to be a lot of US soldiers on the ground. 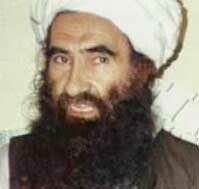 He warned Mullah Omar that the United States would be relying heavily on aerial bombardment and on the Northern Alliance.” Mahmood gives additional pointers on targets likely to be hit, command and control systems, anti-aircraft defense, what types of weapons the US will use, and so forth. [Gannon, 2005, pp. 93-94] Immediately after 9/11, Mahmood had promised Pakistan’s complete support to help the US defeat the Taliban (see September 13-15, 2001). 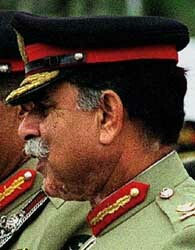 Lieutenant General Mahmood Ahmed. [Source: Agence France-Presse]On September 17, ISI Director Lt. Gen. Mahmood Ahmed heads a six-man delegation that visits Mullah Omar in Kandahar, Afghanistan. It is reported he is trying to convince Omar to extradite bin Laden or face an immediate US attack. [Press Trust of India, 9/17/2001; Financial Times, 9/18/2001; London Times, 9/18/2001] Also in the delegation is Lt. Gen. Mohammed Aziz Khan, an ex-ISI official who appears to be one of Saeed Sheikh’s contacts in the ISI. [Press Trust of India, 9/17/2001] On September 28, Mahmood returns to Afghanistan with a group of about ten religious leaders. He talks with Omar, who again says he will not hand over bin Laden. [Agence France-Presse, 9/28/2001] A senior Taliban official later claims that on these trips Mahmood in fact urges Omar not to extradite bin Laden, but instead urges him to resist the US. [Associated Press, 2/21/2002; Time, 5/6/2002] Another account claims Mahmood does “nothing as the visitors [pour] praise on Omar and [fails] to raise the issue” of bin Laden’s extradition. 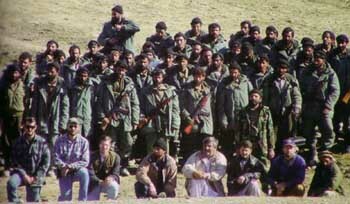 [Knight Ridder, 11/3/2001] Two Pakistani brigadier generals connected to the ISI also accompany Mahmood, and advise al-Qaeda to counter the coming US attack on Afghanistan by resorting to mountain guerrilla war. The advice is not followed. [Asia Times, 9/11/2002] Other ISI officers also stay in Afghanistan to advise the Taliban. In the days just after the 9/11 attacks, top US officials give approval to use the Predator drone in Afghanistan. The first Predator drones and missiles reached the Afghanistan theater on September 16. Two days later, the Predator is first used, flying over Kabul and Kandahar, but without carrying weapons. 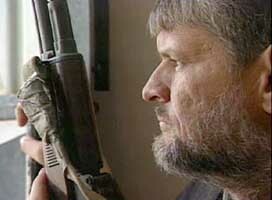 On October 7, the unnamed nearby country hosting the drones grants approval for armed Predators to be used. The first armed mission is flown later the same day. The CIA is in charge of most Predator flights in the region. [9/11 Commission, 3/24/2004 ] The speed in which the Predator is deployed in Afghanistan is noticeable, considering that just one week before 9/11, National Security Adviser Condoleezza Rice concluded that the armed Predator was not ready to be used there (see September 4, 2001). At some point after 9/11, the US government begins compiling a list of “high-value” al-Qaeda linked militant leaders to be killed or captured. President Bush authorizes the assassination of high-value targets on September 17, 2001 (see September 17, 2001), so the creation of the list presumably takes place shortly after that. US intelligence agencies typically propose a name for the list, and prepare a dossier that explains who the target is and why that person deserves to be on the list. Then, a committee of bureaucrats and lawyers from the Justice Department, CIA, Pentagon, and other agencies reviews the dossier. If it finds the evidence convincing, the name is included on the “high-value target” list, which means the person cannot only be captured by US forces, but is legally allowed to be killed. At any one time, there are between 10 and 30 people on the list. 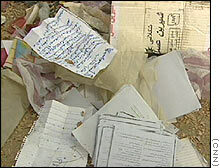 Top al-Qaeda leaders Osama bin Laden and Ayman al-Zawahiri are on the list from the very beginning. In 2002, Defense Secretary Donald Rumsfeld will secretly authorize the killing of top targets anywhere in the world (see July 22, 2002), increasing the danger of being named on the list. In 2010, Anwar al-Awlaki will be added to the list. This will be the first time a US citizen is added. [Reuters, 5/12/2011] The CIA already had prepared a list of high-value targets it thought deserved to be assassinated before 9/11 (see Shortly After September 11, 2001). 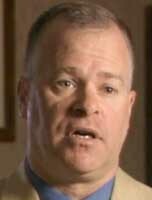 On September 19, 2001, Cofer Black, head of the CIA’s Counterterrorist Center, speaks to Gary Berntsen, a CIA officer who is about to lead the first unit of CIA operatives into Afghanistan. Black tells Berntsen that President Bush has signed a new intelligence order. 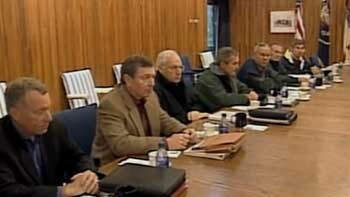 As Black will put it in 2002, the gloves are off (see September 26, 2002). Black orders Berntsen: “You have one mission. Go find the al-Qaeda and kill them. We’re going to eliminate them. Get bin Laden, find him. I want his head in a box.… I want to take it down and show the president.” Berntsen replies, “Well, that couldn’t be any clearer.” [Washington Post, 11/18/2002] Indeed, two days before Bush, signed new orders giving the CIA broad new powers (see September 17, 2001 and September 17, 2001). 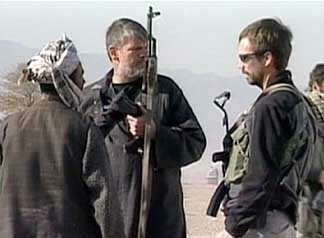 Bernsten and his team arrive in Afghanistan on September 26 (see September 26, 2001). Prince Nawaf bin Abdul Aziz. [Source: New York Times]According to the private intelligence service Intelligence Online, a secret meeting between fundamentalist supporters in Saudi Arabia and the ISI takes place in Riyadh, Saudi Arabia, on this day. Crown Prince Abdullah, the de facto ruler of Saudi Arabia, and Prince Nawaf bin Abdul Aziz, the new head of Saudi intelligence, meet with Gen. Mohamed Youssef, head of the ISI’s Afghanistan Section, and ISI Director Lt. Gen. Mahmood Ahmed (just returning from discussions in Afghanistan). They agree “to the principle of trying to neutralize Osama bin Laden in order to spare the Taliban regime and allow it to keep its hold on Afghanistan.” There has been no confirmation that this meeting in fact took place, but if it did, its goals were unsuccessful. [Intelligence Online, 10/4/2001] There may have been a similar meeting before 9/11 in the summer of 2001. In mid-November 2001, the Washington Post will report that senior Air Force officials are upset they have missed opportunities to hit top al-Qaeda and Taliban leaders since the start of the bombing of Afghanistan. According to these officials, the Air Force believes it has the leaders in its crosshairs as many as ten times, but they are unable to receive a timely clearance to fire. Cumbersome approval procedures, a concern not to kill civilians, and a power play between the Defense Department and the CIA contribute to the delays. One anonymous Air Force official later says, “We knew we had some of the big boys. 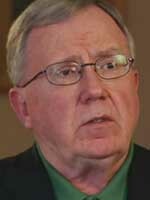 The process is so slow that by the time we got the clearances, and everybody had put in their 2 cents, we called it off.” The main problem is that commanders in the region have to ask for permission from General Tommy Franks, based in Central Command headquarters in Tampa, Florida, or even Defense Secretary Rumsfeld and other higher-ups. Air Force generals complain to Franks about the delay problem, but never receive a response. For example, at one point in October, a Taliban military convoy is moving north to reinforce front line positions. Targeters consider it an easy mark of clear military value. But permission from Central Command is denied on the suspicion that the target is so obvious that “it might be a trick.” In another example, a target is positively identified by real-time imagery from a Predator drone, but Central Command overrides the decision to strike, saying they want a second source of data. An anonymous official calls this request for independent verification of Predator imagery “kind of ridiculous.” [Washington Post, 11/18/2001] The London Times paraphrase officials who claim that, “Attempts to limit collateral damage [serve] merely to prolong the war, and force the Pentagon to insert commandos on the ground to hunt down the same targets.” [London Times, 11/19/2001] By the end of the war, only one top al-Qaeda leader, Mohammed Atef, is killed in a bombing raid (see November 15, 2001), and no top Taliban leaders are killed. On the first night of the Afghan war, an unmanned Predator drone identifies a convoy of vehicles fleeing Kabul. Mullah Omar, head of the Taliban, is determined to be inside this convoy. The CIA is in control of the Predator attack drone and wants to use it to kill Omar, but they have to ask for permission from military commanders who are based in Florida. General Tommy Franks decides not to fire any missiles or launch an air strike against the building in which Omar takes shelter. Eventually fighters attack and destroy the building, but by then Omar and his associates have moved on. One anonymous senior official later says of this failure to kill Omar, “It’s not a f_ckup, it’s an outrage.” According to one senior military officer, “political correctness” and/or slow bureaucratic procedures are to blame. [New Yorker, 10/16/2001] It is later revealed that this is part of a pattern of delays that will hinder many attacks on al-Qaeda and Taliban leaders (see Early October-Mid-November, 2001). Ali Jan Orakzai. [Source: Associated Press]Pakistani President Pervez Musharraf appoints a general sympathetic to the Taliban to seal off the Afghanistan border as US forces close in on al-Qaeda and Taliban militants on the other side. Ali Jan Orakzai is appointed on October 8, 2001, a day Musharraf responded to US pressure and fired some Islamist extremist officers, only to replace them with other Islamist extremist officers (see October 8, 2001). Orakzai, a friend and close adviser to Musharraf, will generally be known as someone who hates the US and sympathizes with the Taliban (see Late 2002-Late 2003). His instructions are to send troops to Pakistan’s tribal region next to Afghanistan to catch fleeing terrorists. On October 11, Pakistani helicopters will begin dropping soldiers in mountainous regions where no Pakistani soldiers had been to before. By December 2001, Orakzai will position more than 30,000 soldiers in the region. [London Times, 1/22/2005] However, when he ends his command of troops in the region in 2004, he will claim that his forces never even saw one Arab there (see January 22, 2005). Musharraf will finally fire him in 2007 for his ineffectiveness and militant sympathies (see July 19, 2007). According to the Moscow Times, the Russian government sees the upcoming US conquest of Afghanistan as an attempt by the US to replace Russia as the dominant political force in Central Asia, with the control of oil as a prominent motive: “While the bombardment of Afghanistan outwardly appears to hinge on issues of fundamentalism and American retribution, below the surface, lurks the prize of the energy-rich Caspian basin into which oil majors have invested billions of dollars. 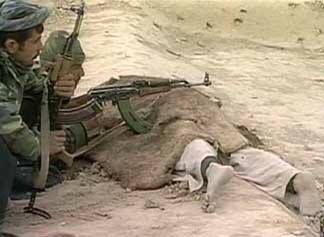 Ultimately, this war will set the boundaries of US and Russian influence in Central Asia—and determine the future of oil and gas resources of the Caspian Sea.” [Moscow Times, 10/15/2001] The US later appears to gain military influence over Kazakhstan, the Central Asian country with the most resource wealth, and closest to the Russian heartland (see March 30, 2002). In a series of multinational conferences held to discuss the future of Afghanistan, Western leaders make great pledges and promises to Afghanistan. For instance British Prime Minster Tony Blair says, “We will not walk away from Afghanistan, as the outside world has done so many times before.” [Observer, 5/25/2003] President Bush says, “The Afghan people will know the generosity of America and its allies.” [Guardian, 9/20/2003] US Secretary of State Colin Powell says, “[We] have an enormous obligation—not only the United States, but the whole international community—an enormous obligation to not leave the Afghan people in the lurch, to not walk away as has been done in the past.… We cannot wait; we must act as fast as we can. We must act as soon as possible.” [New York Times, 11/20/2001] In a January 2002 donor conference, countries around the world pledge $4.5 billion to aid Afghanistan. [Christian Science Monitor, 11/19/2002] However, new Afghan leader Hamid Karzai says, “We believe Afghanistan needs $15-20bn to reach the stage we were in 1979.” Most outside observers will agree that the amount pledged is insufficient. [Observer, 5/25/2003] Yet even that amount will fall far short of the aid actually given to Afghanistan in subsequent years (see Spring 2003). Pakistani forces capture Ibn al-Shaykh al-Libi, a Libyan national, apparently as he is trying to flee Afghanistan. 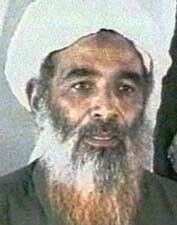 Al-Libi is considered an al-Qaeda leader and head of the Khaldan training camp in Afghanistan for many years. [Washington Post, 6/27/2004] He is the first al-Qaeda figure captured after 9/11 of any importance. He will be transferred to US custody one month later (see December 19, 2001). 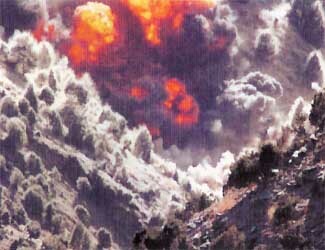 A US airstrike in the Tora Bora region. 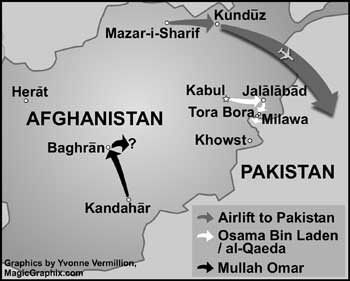 [Source: Gary Bernsten]Heavy US bombing of Tora Bora, the Taliban and al-Qaeda mountainous stronghold near the Pakistani border, begins. 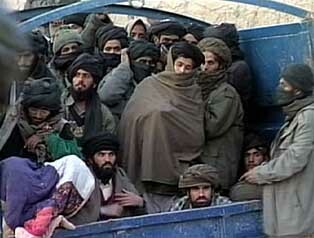 A large convoy containing bin Laden and other al-Qaeda leaders arrived in Tora Bora about three day earlier. The son of a tribal elder later recalls, “At first, we thought that the US military was trying to frighten the Arabs out, since they were only bombing from one side.” Rather than send in US ground forces in large numbers, the US chooses to supply two local warlords and have their fighters do most of the fighting while heavy bombing continues. Within days, a small number of US special forces are brought in to assist the local warlords. One of the warlords chosen, Haji Zaman Ghamsharik, was actually living in exile in France and has to be flown to Afghanistan. He is “known to many as a ruthless player in the regional smuggling business.” Between 1,500 to 2,000 of bin Laden’s fighters are in Tora Bora when the battle begins. [Christian Science Monitor, 3/4/2002; Knight Ridder, 10/20/2002] There are two main mountain passes out of Tora Bora and into Pakistan. 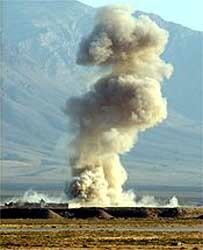 From the beginning on this day, eyewitnesses report that the US bombs only one pass. 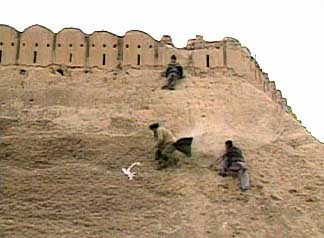 [Newsweek, 8/11/2002] The fighting and bombing will continue through early December (see December 5-17, 2001) while bin Laden and most of his forces escape via the other pass (see November 28-30, 2001). 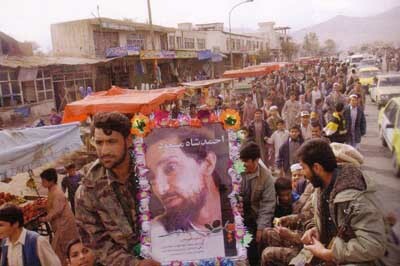 It is believed bin Laden makes a speech before a crowd of about 1,000 followers in the village of Milawa, Afghanistan. 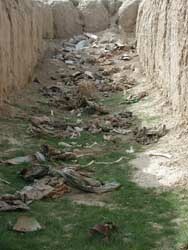 This village is on the route from Tora Bora to the Pakistani border, about eight to ten hours by walking. In his last known public appearance, bin Laden encourages his followers to leave Afghanistan, so they could regroup and fight again. [Christian Science Monitor, 3/4/2002; Knight Ridder, 10/20/2002] It is believed he crosses the border into Pakistan a few days later (see November 28-30, 2001; November 28, 2001). 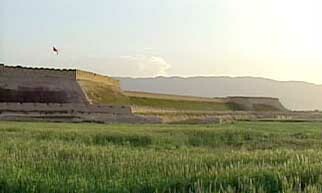 US troops are set to land near the Taliban stronghold of Kandahar, Afghanistan (see November 26, 2001). [Associated Press, 8/19/2002] Apparently, as the noose tightens around Kandahar, Hamid Karzai, the new leader of Afghanistan, makes a deal with the Taliban. He gives them a general amnesty in return for surrender of the city. Taliban’s leader Mullah Omar is allowed to escape “with dignity” as part of the deal. 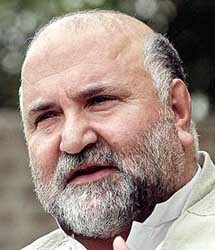 However, the US says it will not abide by the deal and Karzai then says he will not let Omar go free after all. 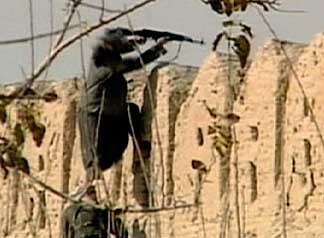 Taliban forces begin surrendering on December 7. [Sydney Morning Herald, 12/8/2001] Omar escapes. Spann - “[Speaking to Lindh] Where are you from? Where are you from? You believe in what you’re doing here that much, you’re willing to be killed here? How were you recruited to come here? Who brought you here? Hey! [He snaps his fingers in front of Lindh’s face. Lindh is unresponsive] Who brought you here? Wake up! Who brought you here to Afghanistan How did you get here? [Long pause] What, are you puzzled?” Spann kneels on the blanket and attempts to photograph Lindh with a digital camera. Spann - “Put your head up. Don’t make me have to get them to hold your head up. Push your hair back. Push your hair back so I can see your face.” An Afghan soldier pulls Walker’s hair back, holding his head up for the picture. Spann - “You got to talk to me. All I want to do is talk to you and find out what your story is. I know you speak English.” Dave then walks up and speaks with Spann. Spann - “[to Lindh] Do you know the people here you’re working with are terrorists and killed other Muslims? There were several hundred Muslims killed in the bombing in New York City. Is that what the Koran teaches? I don’t think so. Are you going to talk to us?” Walker does not respond. Dave - “[to Spann] That’s all right man. Gotta give him a chance, he got his chance.” Spann and Dave stand and keep talking to each other. 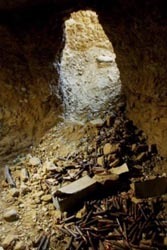 A US Special Forces soldier stationed in Fayetteville, North Carolina, later (anonymously) claims that the US has bin Laden pinned in a certain Tora Bora cave on this day, but fails to act. Special Forces soldiers allegedly sit by waiting for orders and watch two helicopters fly into the area where bin Laden is believed to be, load up passengers, and fly toward Pakistan. No other soldiers have come forward to corroborate the story, but bin Laden is widely believed to have been in the Tora Bora area at the time. [Fayetteville Observer, 8/2/2002] Newsweek separately reports that many locals “claim that mysterious black helicopters swept in, flying low over the mountains at night, and scooped up al-Qaeda’s top leaders.” [Newsweek, 8/11/2002] Perhaps coincidentally, on the same day this story is reported, months after the fact, the media also will report a recent spate of strange deaths at the same military base in Fayetteville. Five soldiers and their wives died since June 2002 in apparent murder-suicides. At least three were Special Forces soldiers recently returned from Afghanistan. [Independent, 8/2/2002] Other reports indicate that bin Laden crosses the border into Pakistan by foot instead (see November 28-30, 2001). 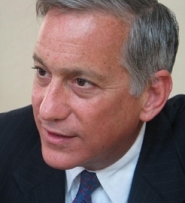 In a 2007 book, CIA Director George Tenet will reveal that the late 2001 Afghanistan war against the Taliban and al-Qaeda is fought by only about 500 US fighters, plus their Afghan allies. He says the US force is made up of “110 CIA officers, 316 Special Forces personnel, and scores of Joint Special Operations Command raiders creating havoc behind enemy lines… .” [Tenet, 2007, pp. 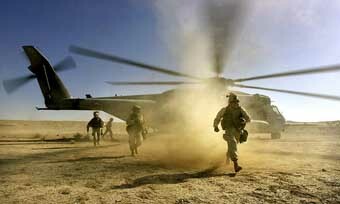 255] There are many other US forces in Afghanistan which are not used at the time. For instance, 1,200 Marines remain in a military base in Afghanistan and do not take part in combat (see Late October-Early December 2001). As some of the examples above indicate, al-Qaeda operatives are often taken into US custody while LeT members are often let go, even though the US names LeT a terrorist group in December 2001 (see December 20, 2001). This may be due to ties between LeT and the ISI, Pakistan’s intelligence agency. For instance, a 2009 diplomatic cable by US Secretary of State Hillary Clinton will note continued links between the ISI and LeT (see December 2009).